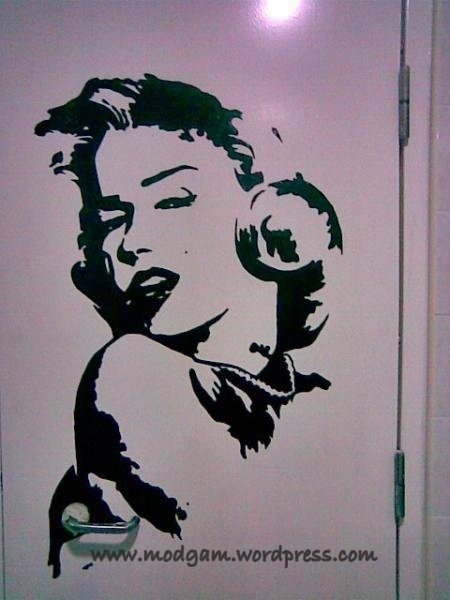 DIY and painted… Hello Marilyn Monroe! 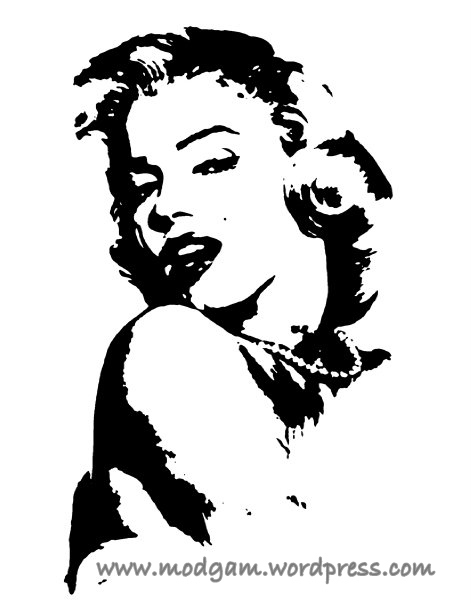 She was checking with some printer and a sticker of Marilyn Monroe, the height of about 30-35 inches, would cost her around S$300 to maybe S$600 (i cannot remember the exact price quoted then)?!!! The love of my life, whom I affectionately addressed as ‘D’ or ‘Mr D’ here, happens to be an art lover like myself and is very good at drawing. I asked Saman if she is willing to let me try paint on her door with D’s help and it can be a good house-warming gift for them. She was elated and after searching for the portrait they wanted, D and I got down to work. It was really difficult drawing using a pencil on painted surface and so we took the risk and started drawing with markers. We had a few stumbles as we had to think of a way to ensure the portrait is of a balanced position and not slanted as we were drawing free-hand. D is really clever and decided that we will have to use markers and draw grids to position her. It took us less than a week to get her drawn and painted. No protractor, no projector, just 2 pairs of trembling hands. After that we had to use paint thinner to get rid of all the grid lines. We are very proud of the final result and we even got the couple to dot Marilyn Monroe’s famous mole on her face for the perfect finale! 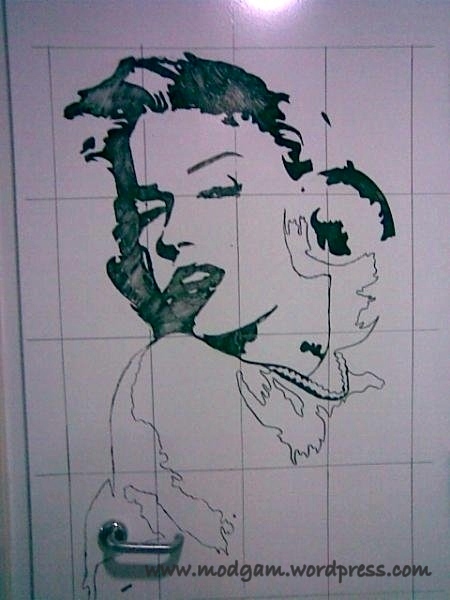 Nice – I’ve been working on stencil-like stuff, but none of mine is this good. Thanks for sharing. Thks Bill, u are very kind. =] Still have quite abit to improve on. Will checkout your blog later.